Since it launch in 2011 V Radio continues to attract female listeners between 28-38 years old from the BCA segment. V Radio features talkshows, news and information as well as easy listening music from oldies until current hits. 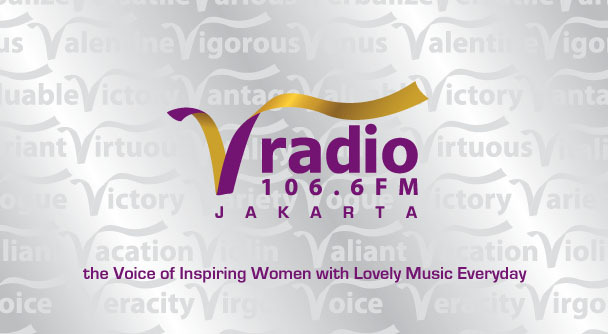 V Radio's top 10 programs are Morning Delight, SKJ (Sore Kota Jakarta), SoVa (Songs and Variety), Slow Jammin, Flashback Weekend, V Classic Disco, V Book Club, Ladies Parking, Friend Session, P3K (Profil Papa Paling Keren).